Are you looking to buy your first kayak or maybe upgrade your current one? You're in luck -- There are two upcoming events in New Hampshire to help you with your decision. Tomorrow (Saturday, May 15), Eastern Mountain Sports will hold an on-water test paddle at Silver Lake State Park in Hollis, NH from 10:00 a.m. to 4:00 p.m.
You'll be able to demo kayaks from Hurricane, Neckey, Ocean Kayak, Old Town, Perception, Wilderness Systems and more. You'll also have a chance to learn from EMS staff how to choose the kayak, paddle, and accessories that are right for you. And yes, you can save money on same-day purchases. Since we're thinking about buying new kayaks in the near future, Doug and I are hoping to get to Hollis to check it out! Mark your calendar for next Sunday, May 23 from 10:00 a.m. to 4:00 p.m. That's when Contoocook River Canoe Company in Concord holds its 11th annual on water Demo Day. They bill it as New Hampshire's largest kayak and canoe on water demo -- and I believe that's true! Here's your chance to try out as many kayaks and canoes and accessories as you want and talk to the company reps. Over 200 boats will be available from more than 20 manufacturers. This is the event where Doug and I bought our Werner paddles last year. It's well worth the trip to Concord if you're in the market for a boat or accessories. On a personal note: I've been neglecting the blog lately, but not for lack of interest. Believe me when I say I'd love to be out on my bike or paddling around one of our state's beautiful ponds! The good news is our lives are filled with many blessings right now: Our oldest daughter is getting married four weeks from tomorrow AND Doug and I are in the midst of having a new house built and preparing to put our home on the market. In between times, our soon-to-be son-in-law is running a marathon in Burlington, Vermont and graduating with his MBA. So we are busy, busy! 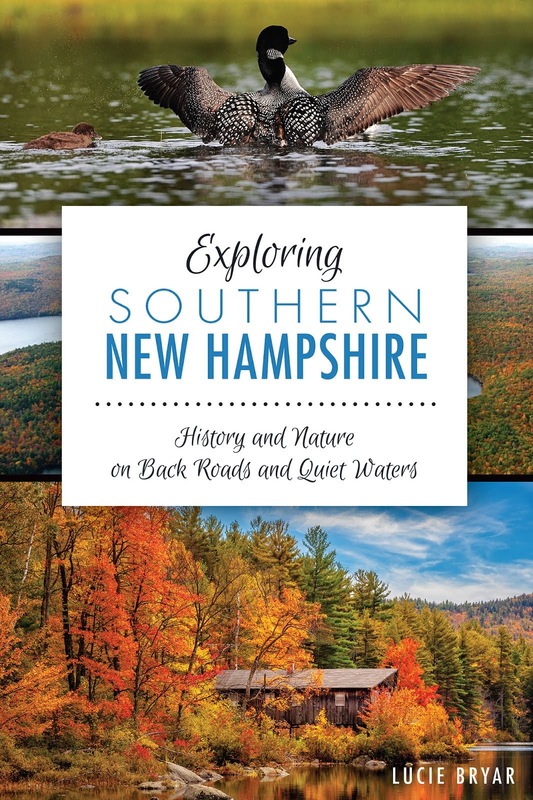 If you're lucky enough to be out enjoying the outdoors, please consider writing a guest post for New Hampshire...Love it or Leaf It. You don't need to be a polished writer, I'm glad to edit your notes. Just drop me a line at lbryar1154@hotmail.com. Thanks!